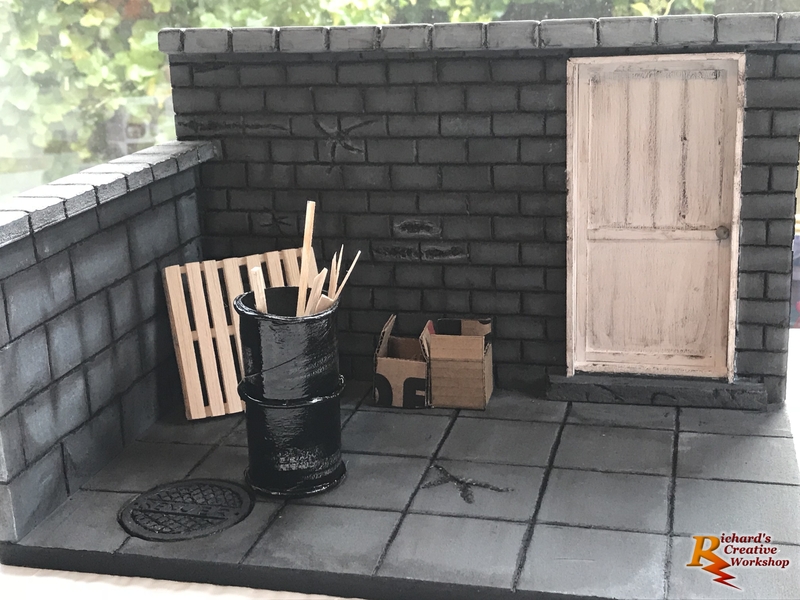 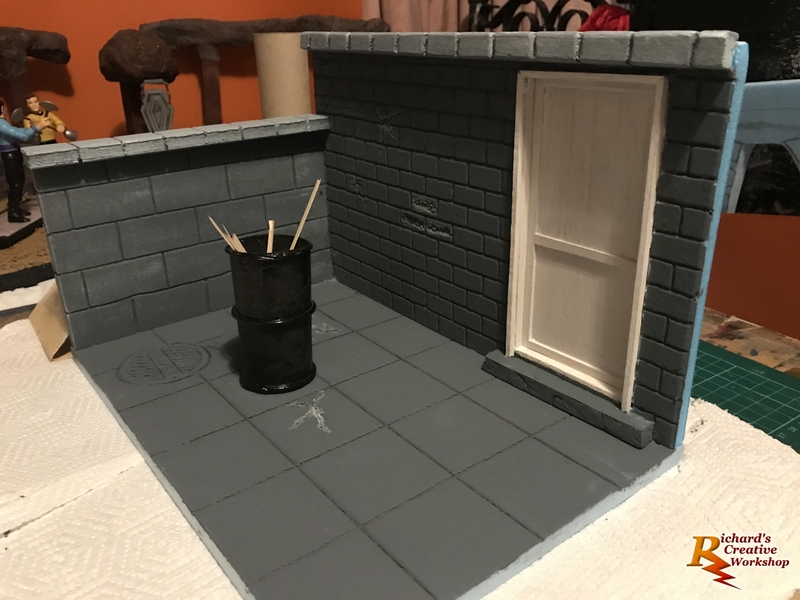 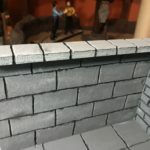 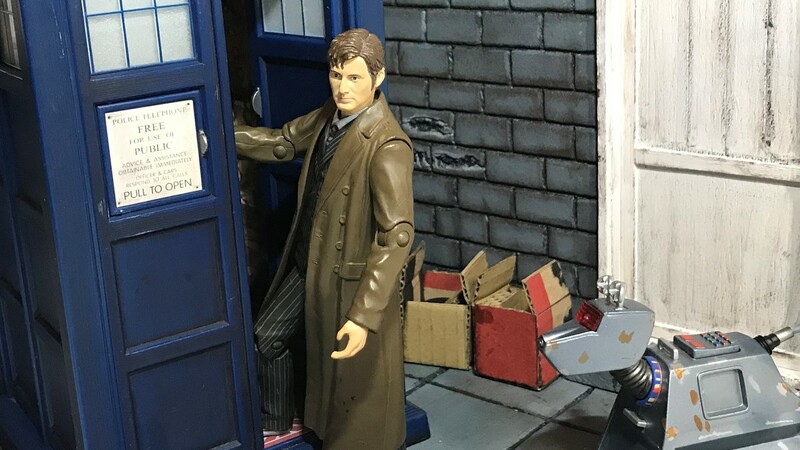 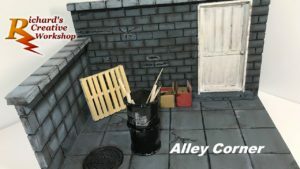 For my latest diorama, I’m carrying on with the alleyway theme but this time its scaled for 6 inch figures. 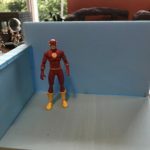 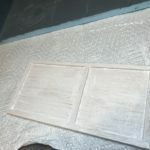 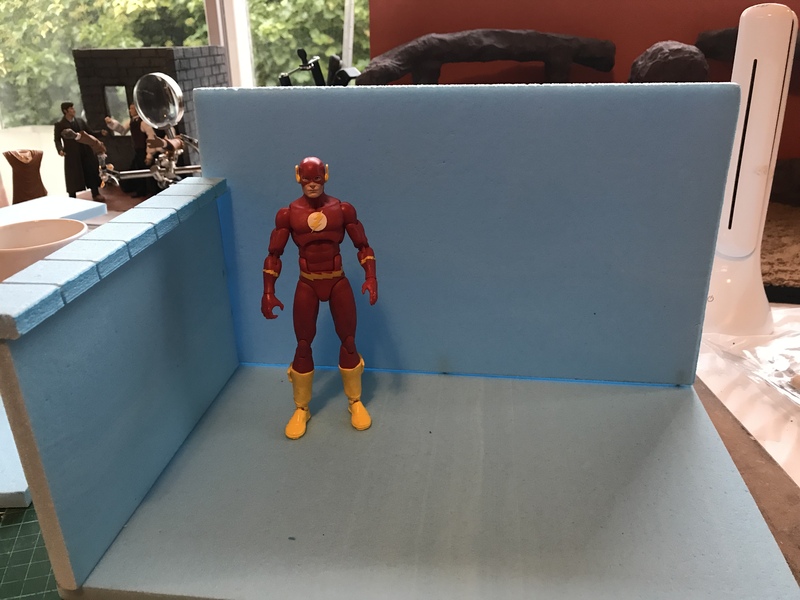 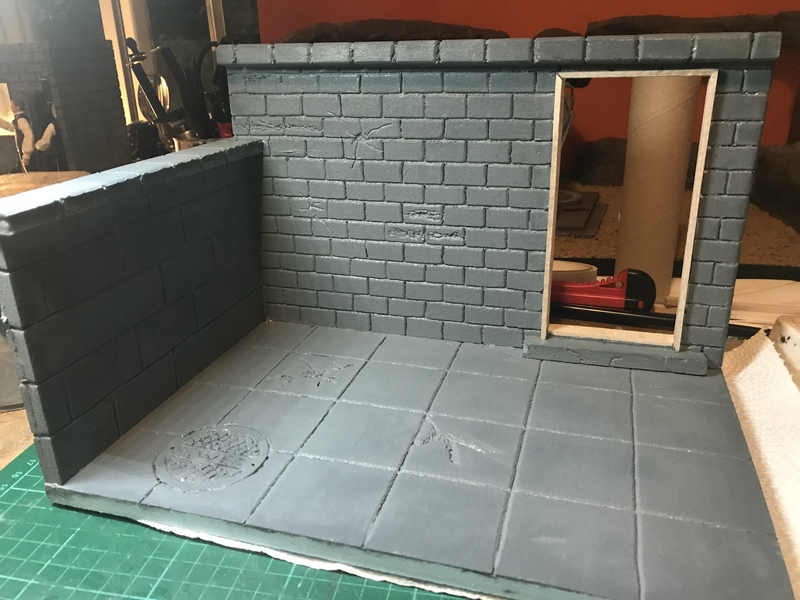 Using floor insulation foam board, I cut a piece 8″ x 12″ for the base, 7″x 12″ for the back wall, 5″ x 8″ for the side wall. 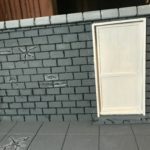 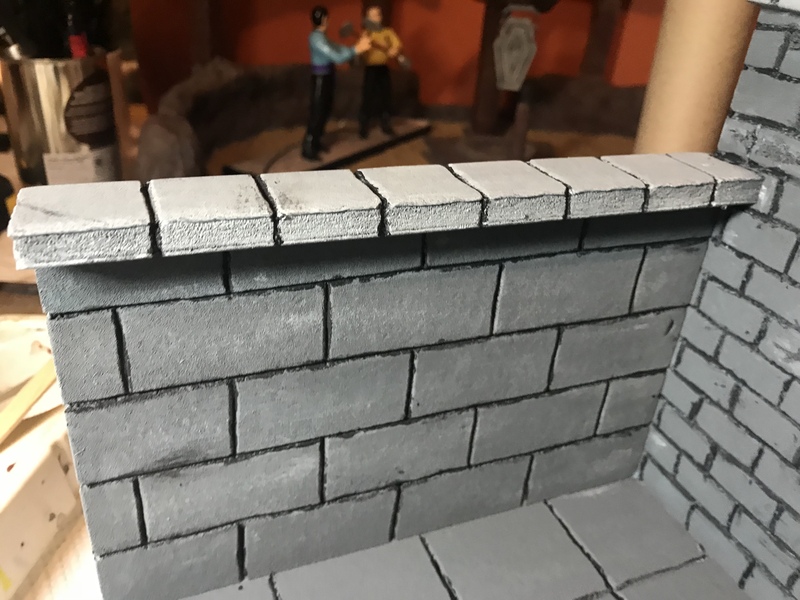 The bricks for the wall for the back wall were carved with each brick being 1″ x 0.5″, a side door was carved into wall, the door frame and door are made from bolsa wood. 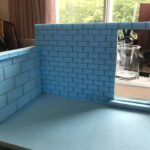 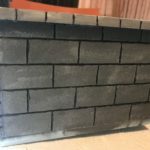 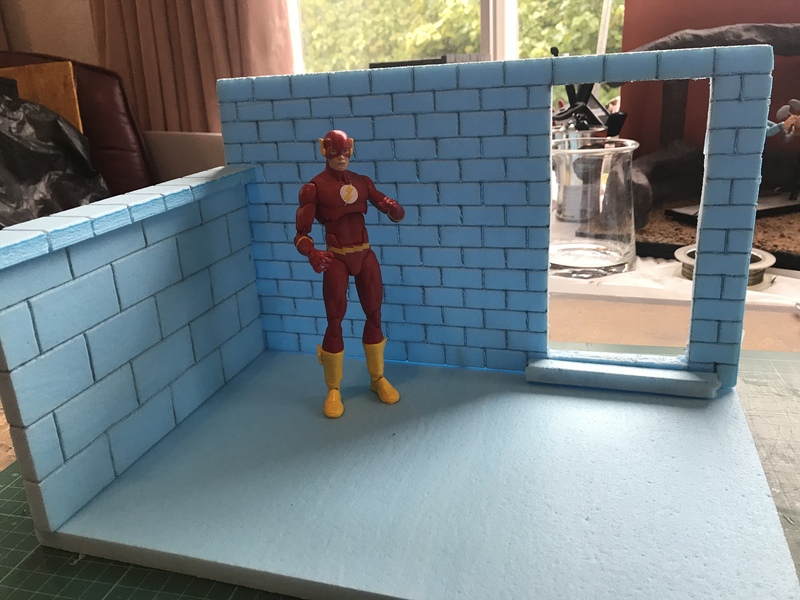 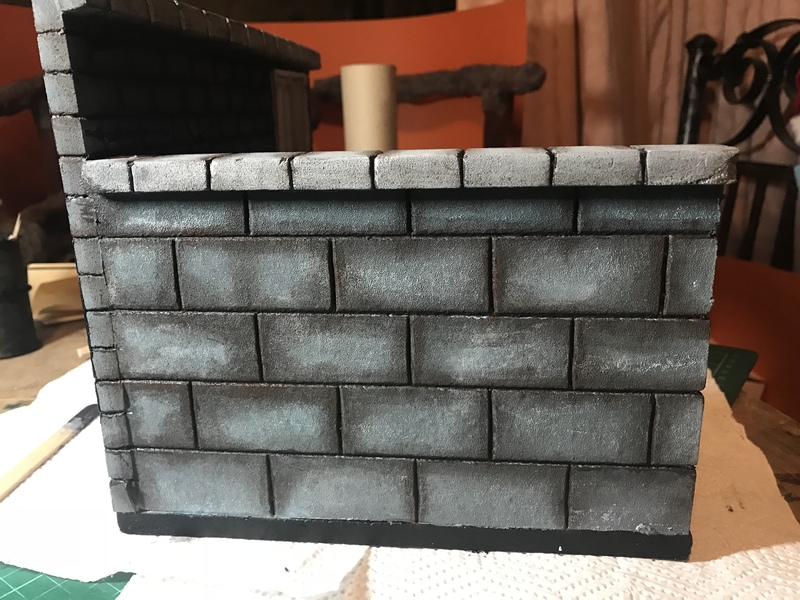 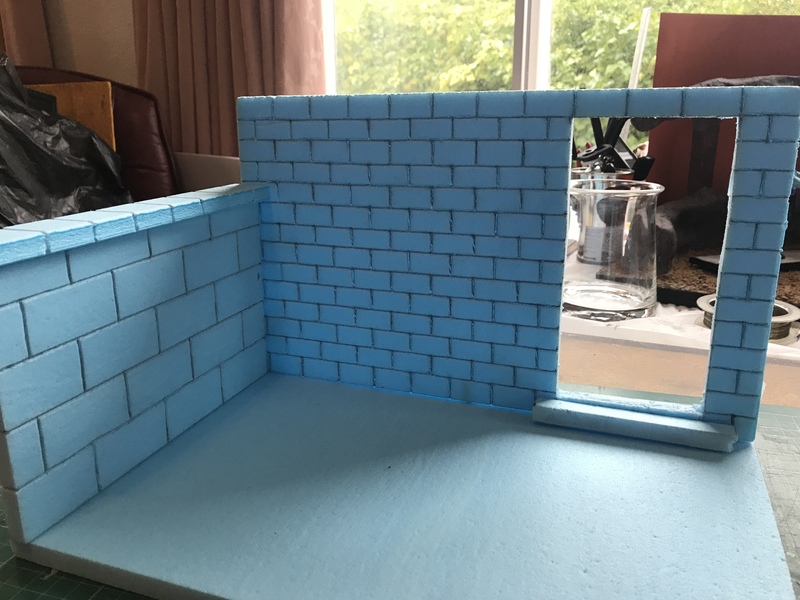 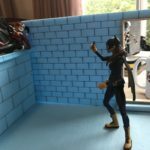 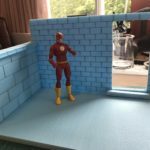 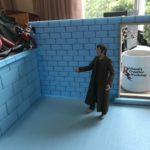 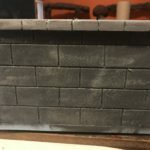 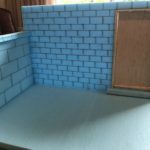 The side wall I wanted to make smaller than back wall with the bricks 1″ x 2″. 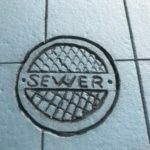 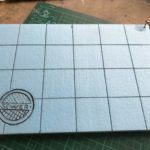 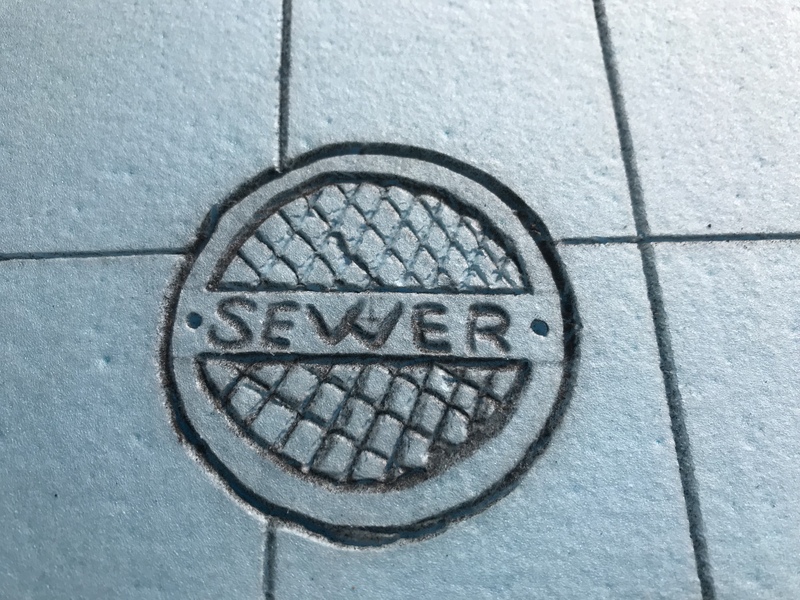 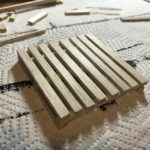 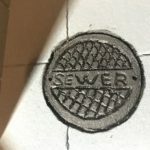 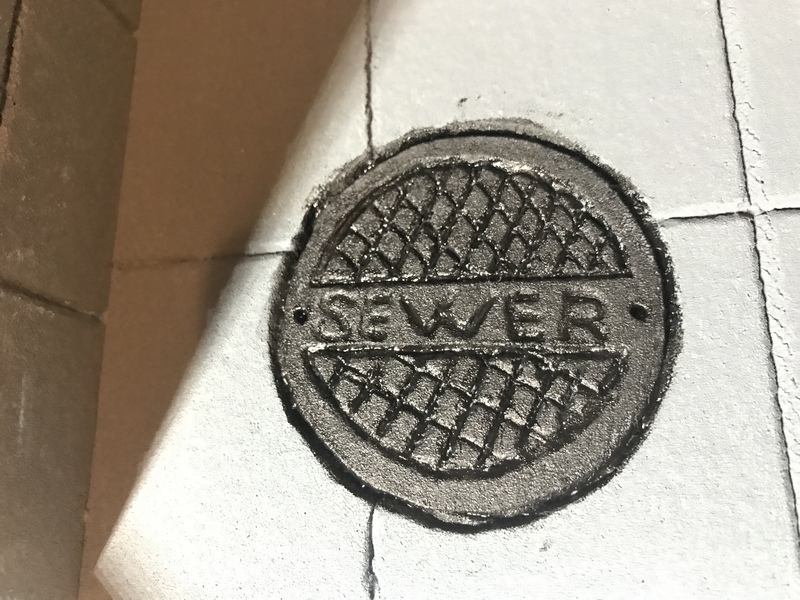 With base, I carved a manhole cover and then surrounded it with slabs of 2″ x 2″. 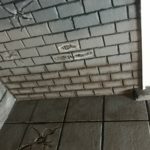 The foam board pieces were glued together, then the obligatory wall cracks were scratched into the back wall and floor. 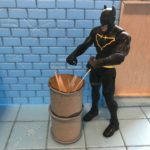 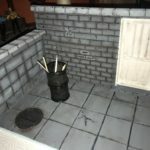 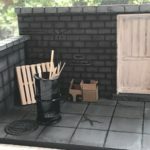 I have been told recently that my diorama’s have been too “clean”, that they need rubbish. 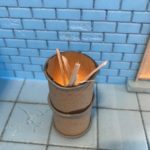 With this in mind using a toliet tube and cutting a inch off the top, rolling out three pieces of putty into long strand that reach round the circumference of the tube. 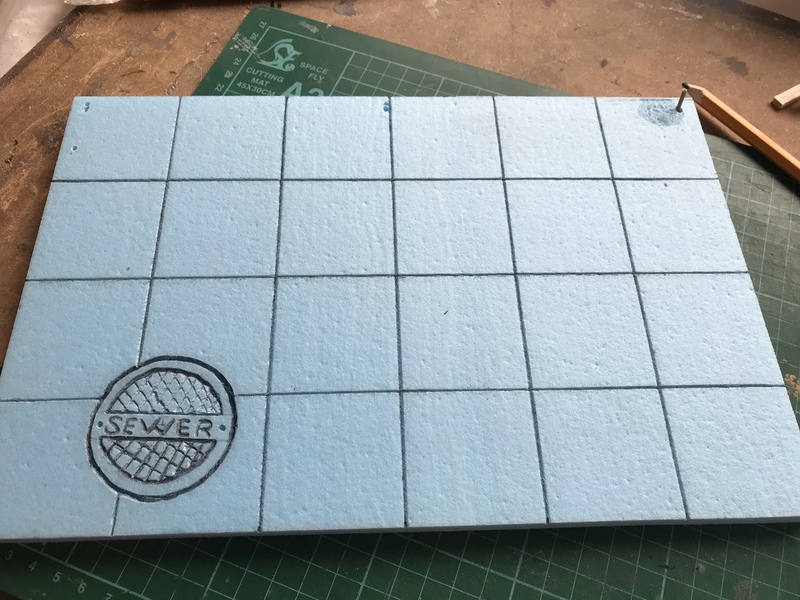 One for either end of the tube, one for middle, surrounded with little super glue to keep it in place. 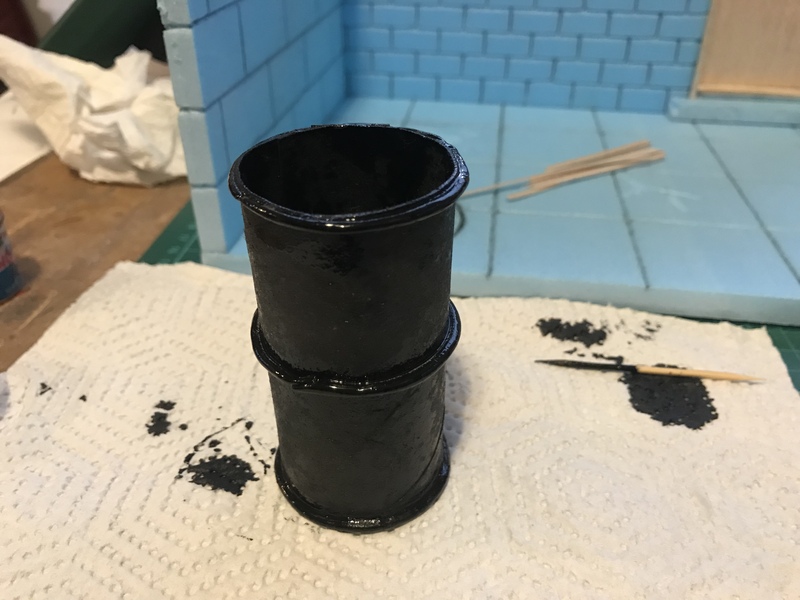 An LED candle light was put into the bottom of the tube and then painted with black gloss. 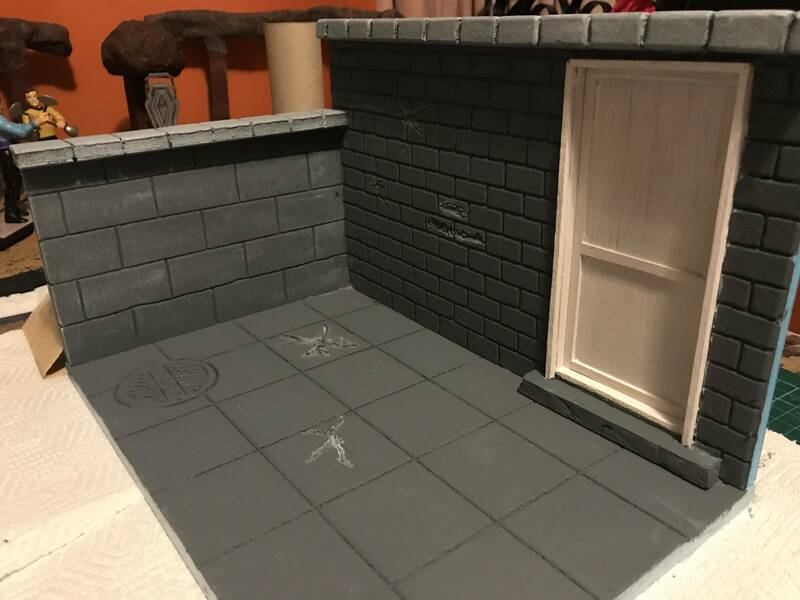 With the constitution work done, it’s time to start painting this diorama. 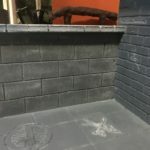 Mixing up a medium grey to cover all walls and floor. 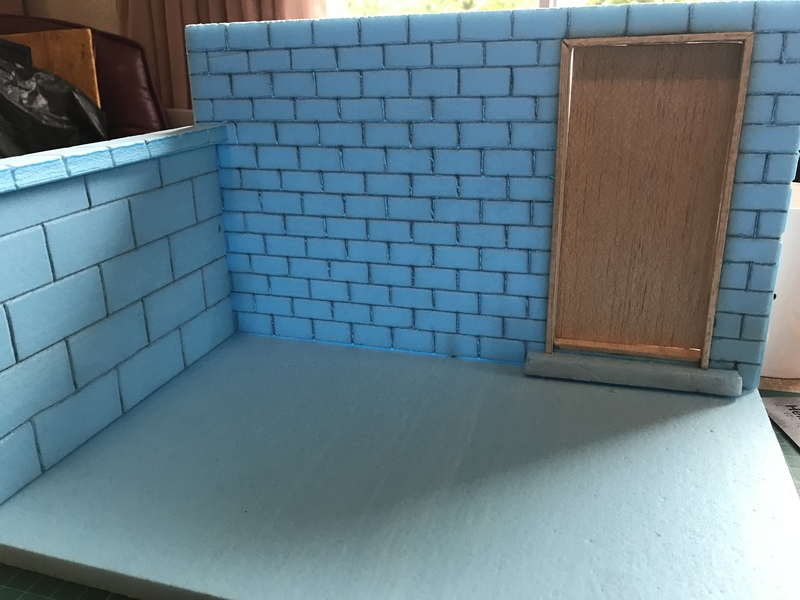 While it’s still wet, I added white to top of the side wall and the pelmet running the length of the back wall. 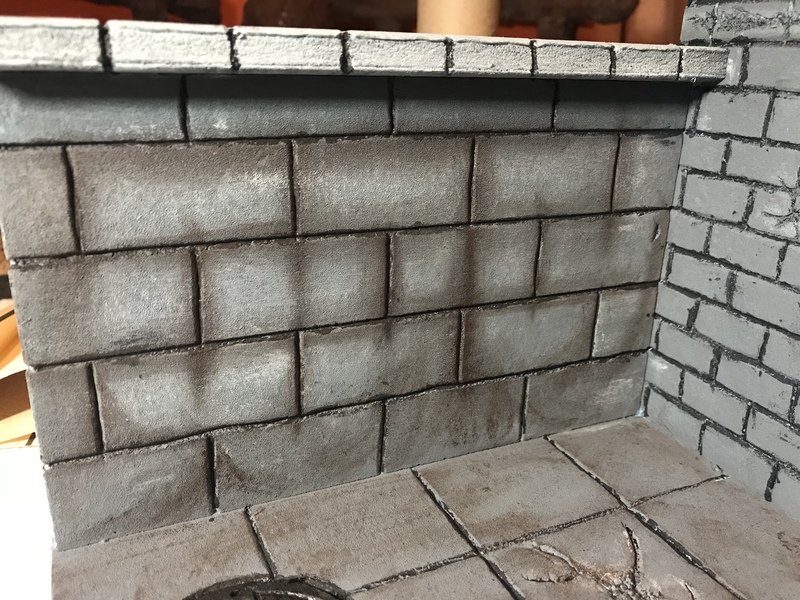 I then dry brushed white over both sides of the small wall and the imperfections on walls and slabs. 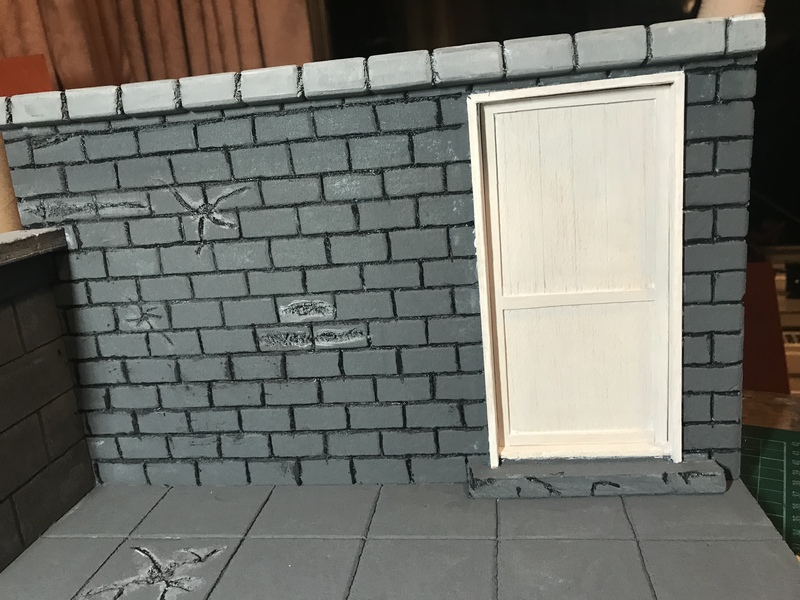 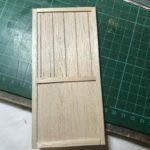 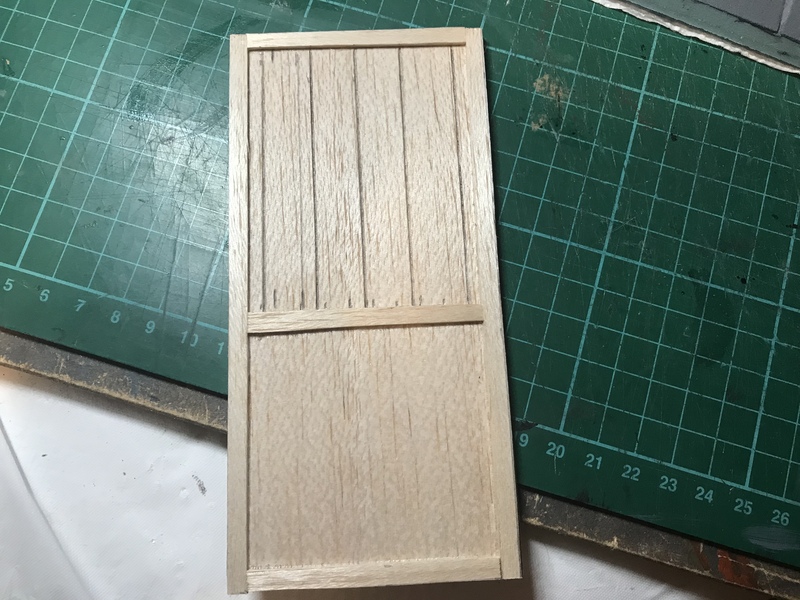 The door and door frame I’ve given a base coat of white, when it’s dry I’ll weather the door to match the scene. 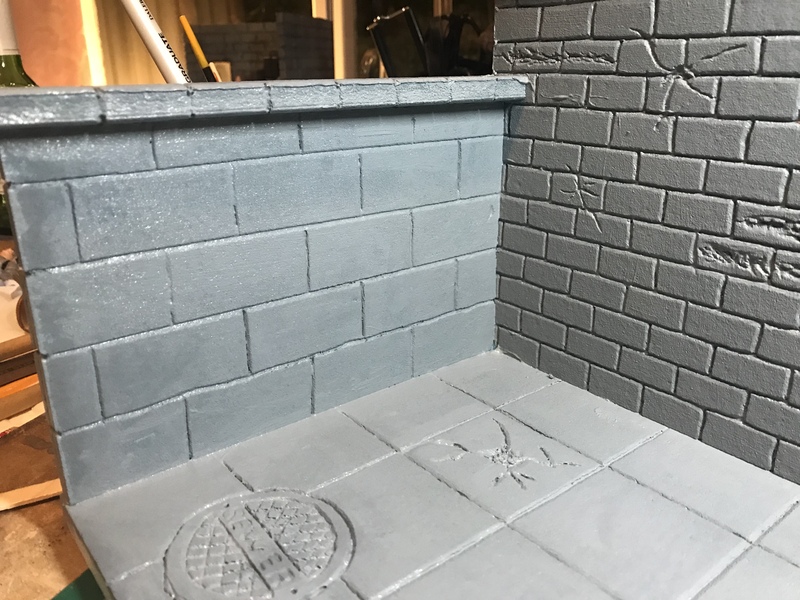 Leaving this to dry before working on the back wall and man hole cover. 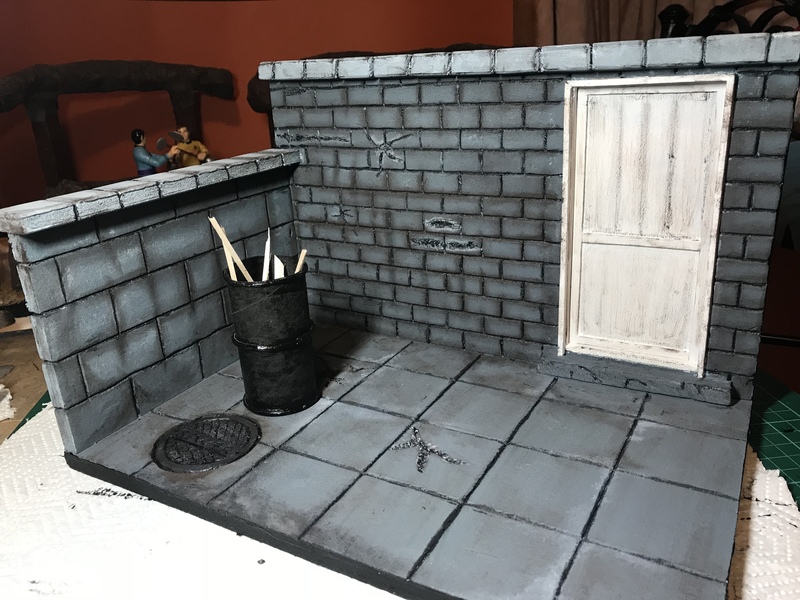 I started painting the man hole cover, mixing up a dark grey then unsung black to go around the detail. 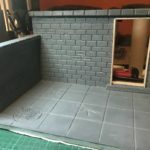 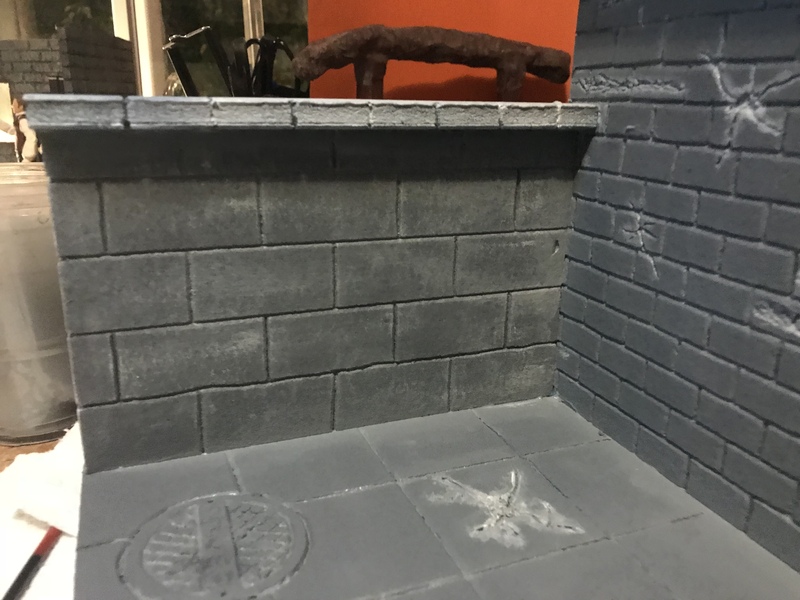 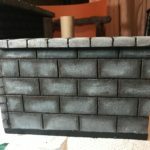 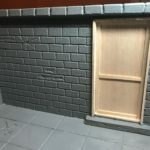 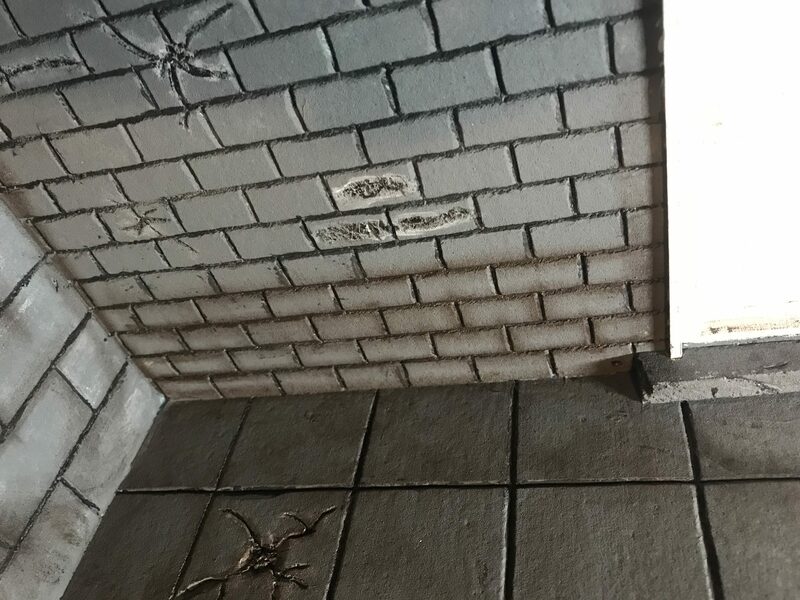 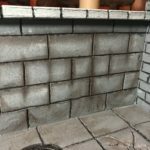 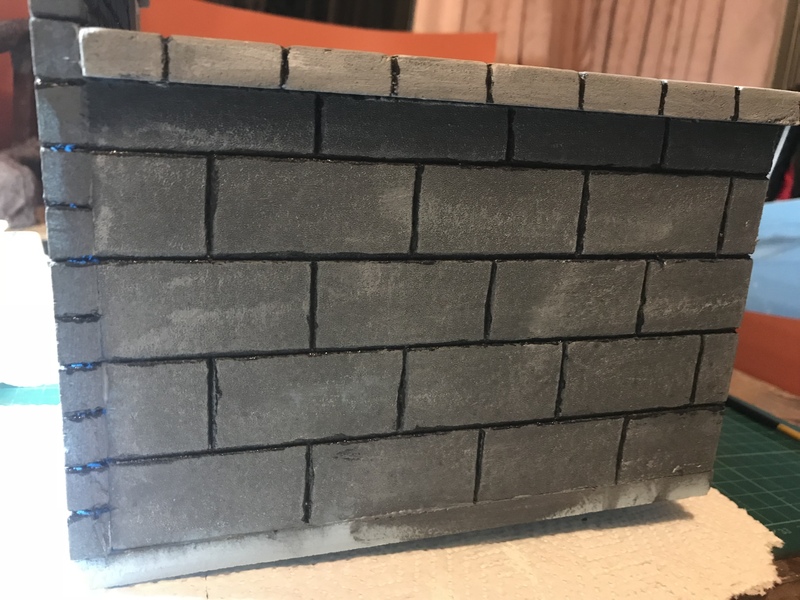 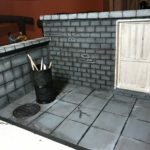 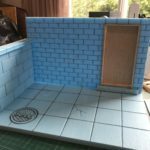 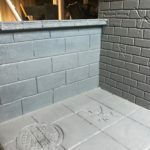 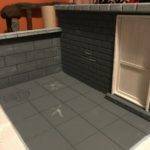 I used the dark grey around all the edges of the brick work and inside the cracks in floor and wall. 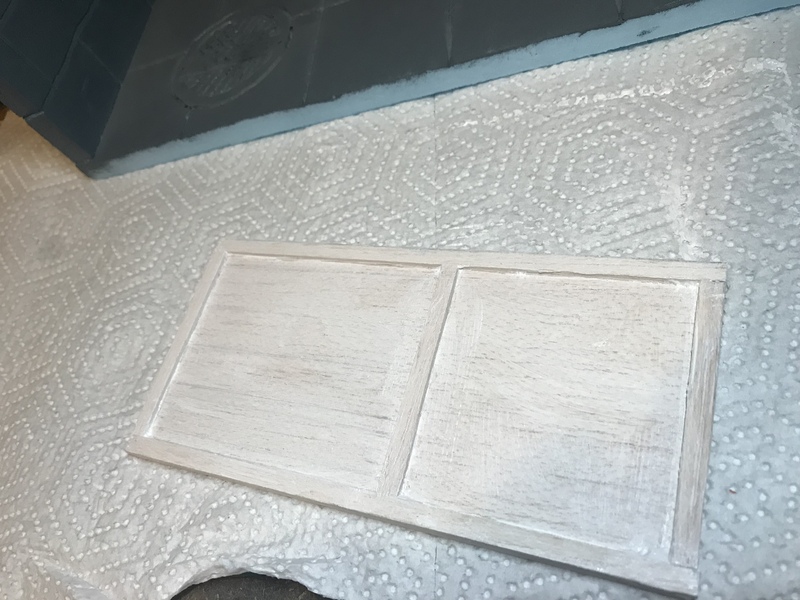 Burnt Umber was used to first weather door and door frame, then around all stone work, walls and floor. 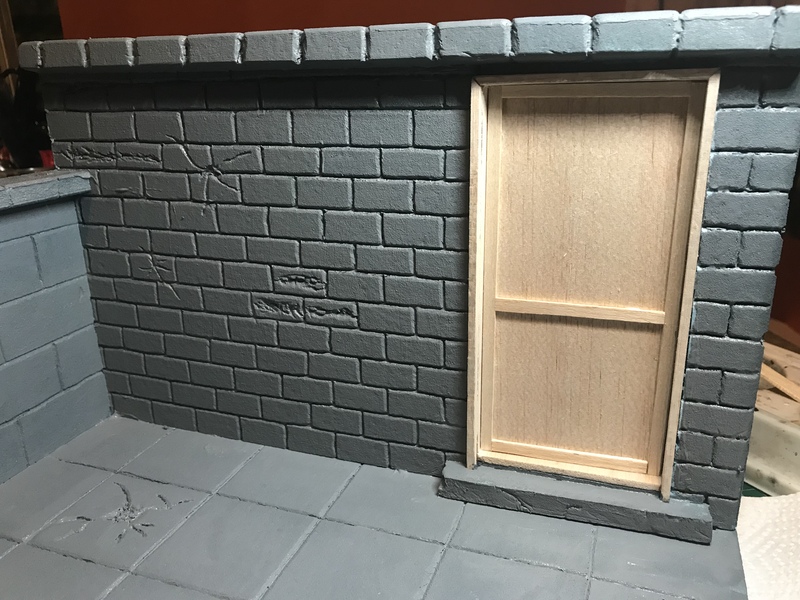 Dark grey was dry brushed over the door to pick out the features in the wood. 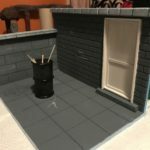 Another coat of black was applied to the barrel. 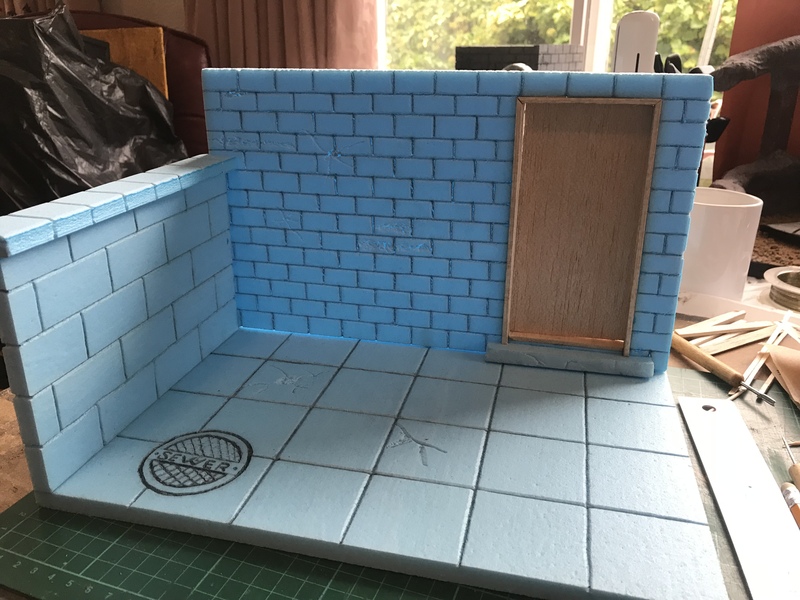 When this is dry I’ll start weathering it and building the surrounding rubbish to go in this scene. 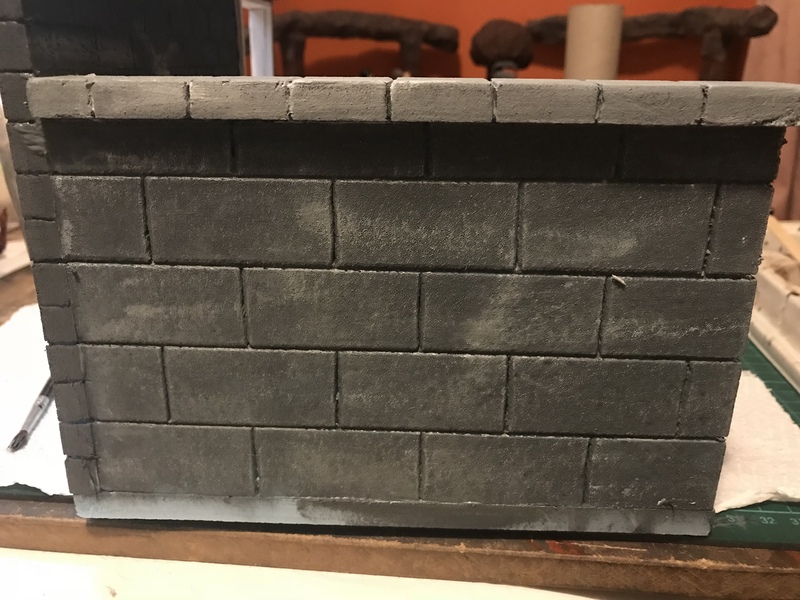 A coat of black acrylic around the border and behind the back wall was added. 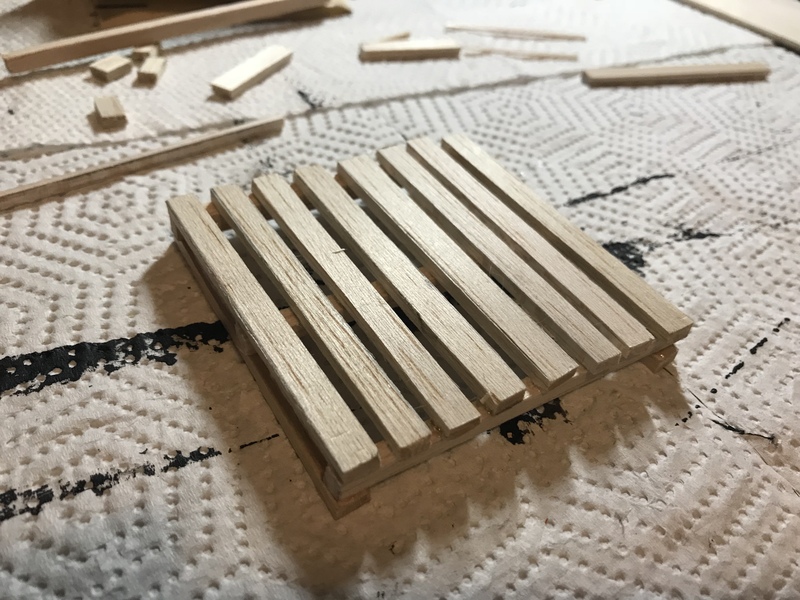 I put together a pallet and a couple of cardboard boxes. 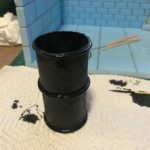 Added another coat of gloss paint to the oil drum. 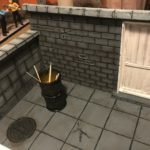 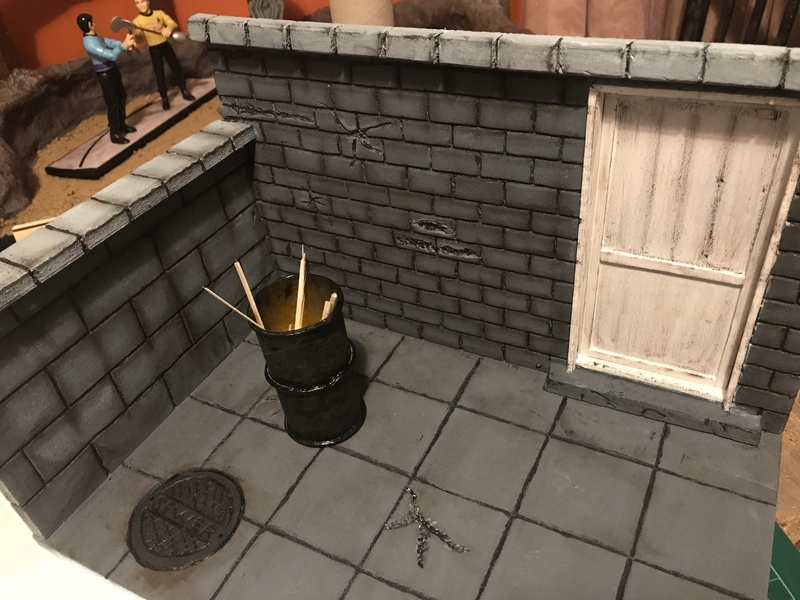 This finishes off my latest diorama, while the drum is drying I will do my usual final pictures but here are a few PCA pictures. 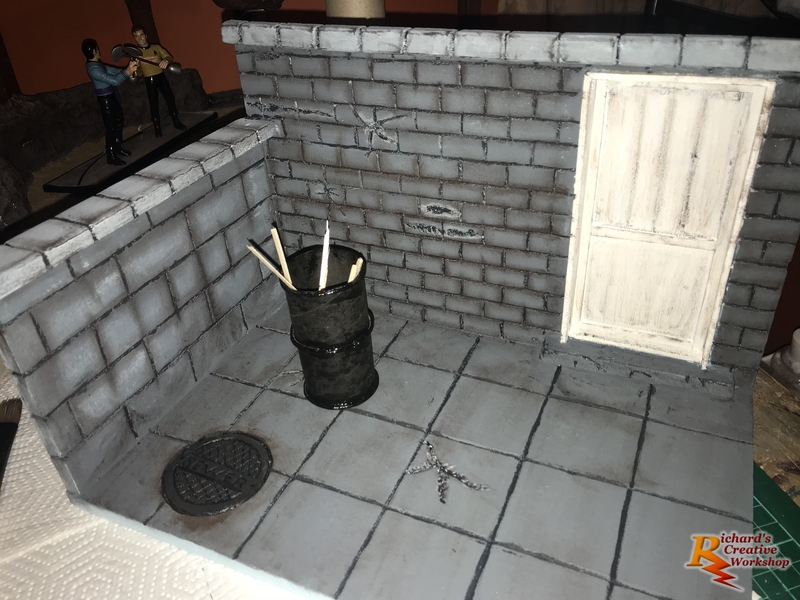 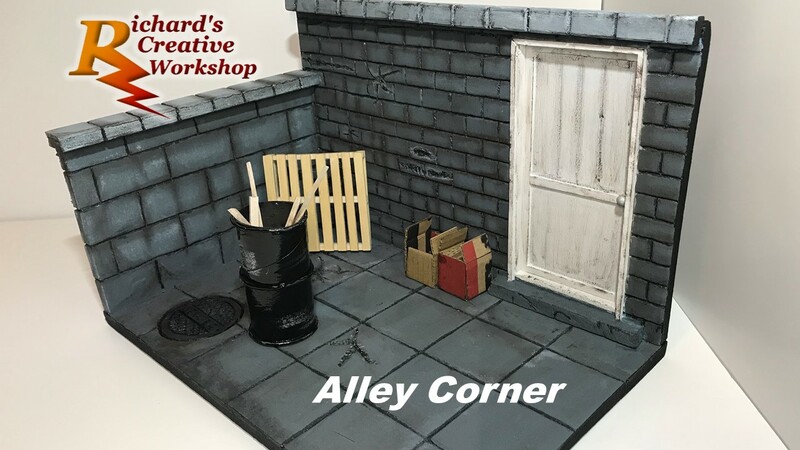 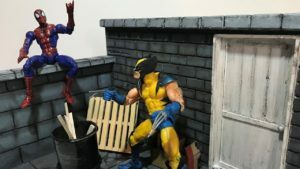 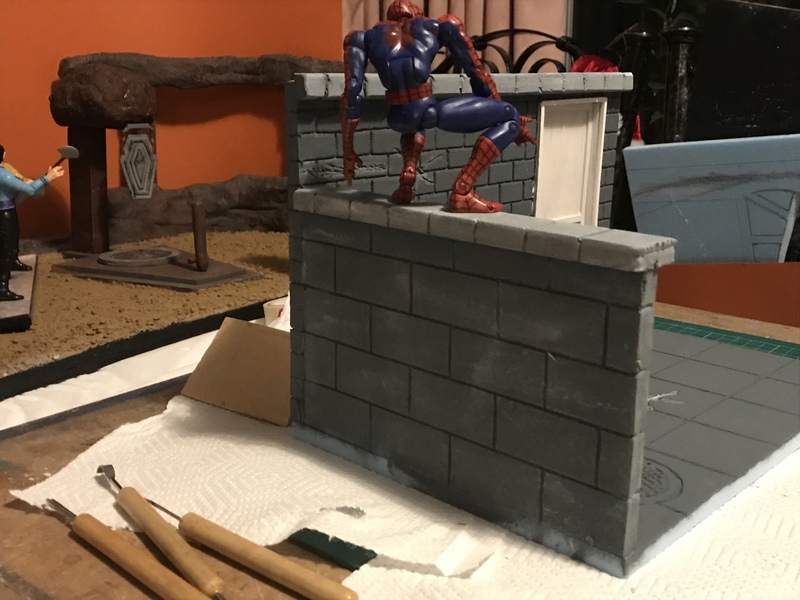 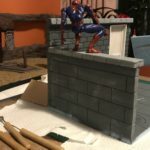 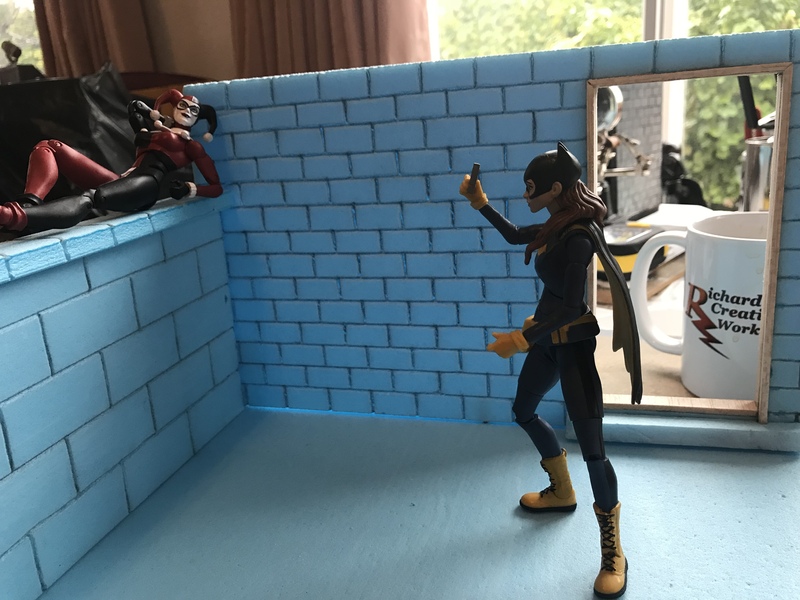 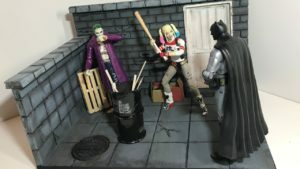 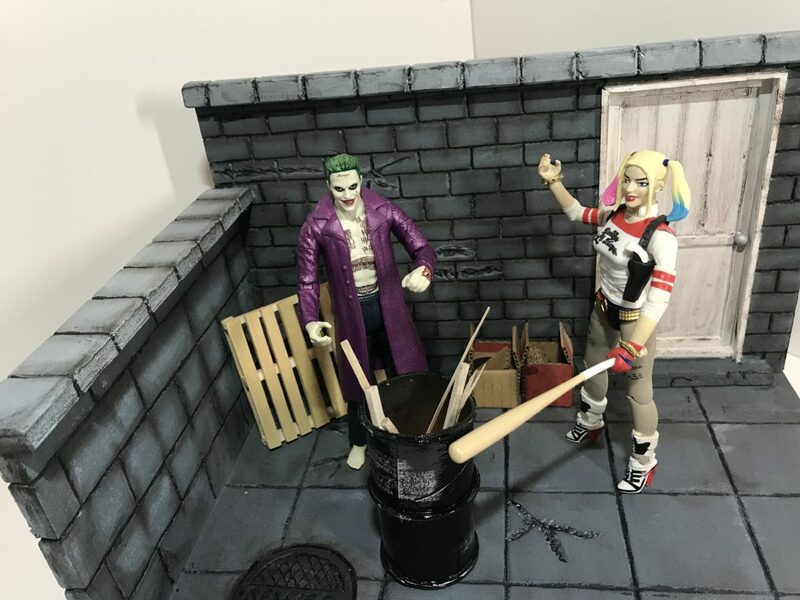 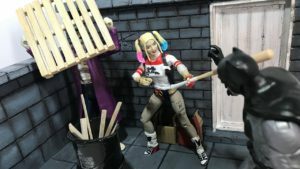 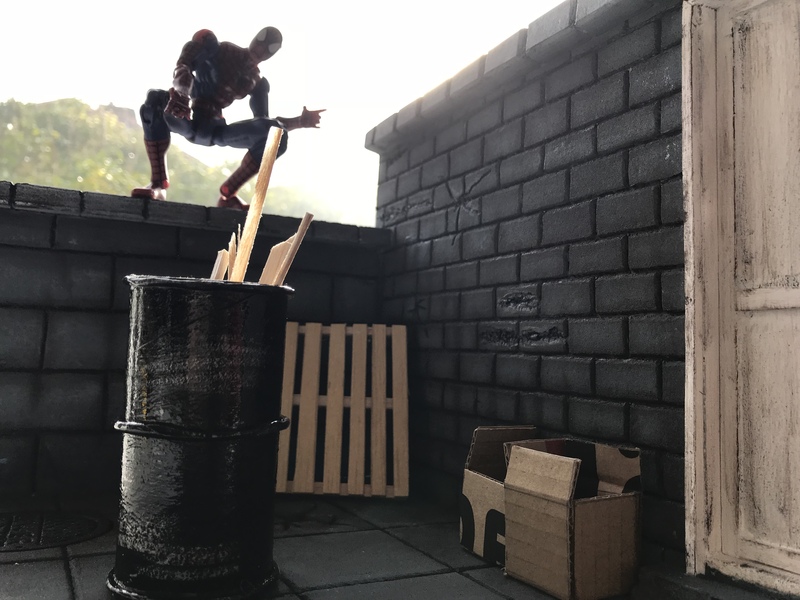 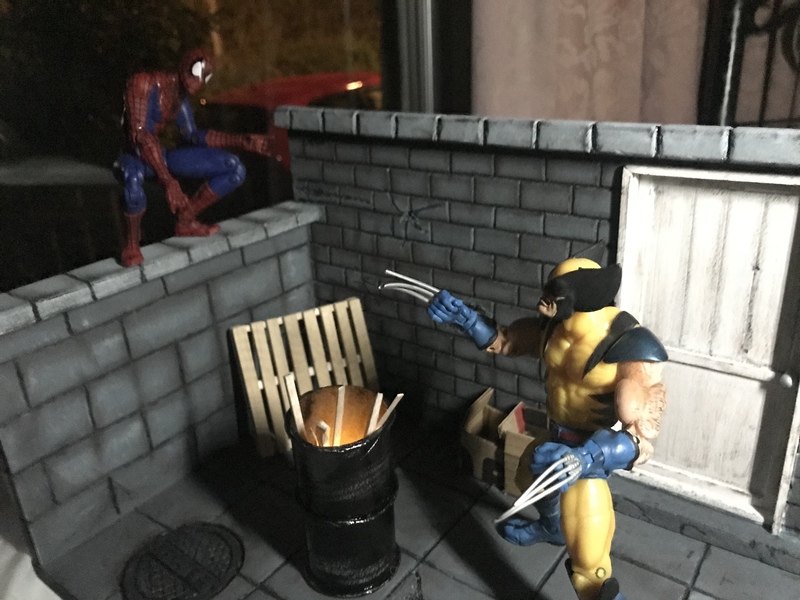 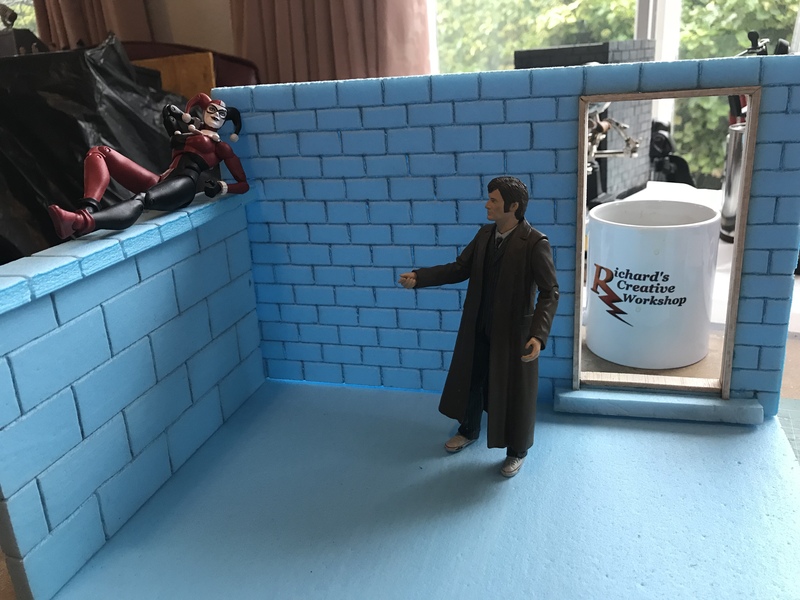 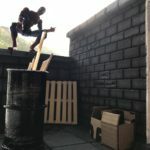 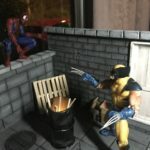 My final pictures of my alley corner diorama, designed to suitable for most action figures between 5 to 7 inches.